How you spend your golden retirement years is a very personal decision. After spending a lifetime hard at work – inside the home, outside the home, or both – only you can decide how you spend your hard-earned retirement. We find that many retirees who choose a retirement community cite six primary reasons. Here they are. #1 – A Simpler Life. After the hard work that comes with raising a family, building a home, or growing a career, many retirees are ready for a simpler lifestyle that only requires cooking, cleaning, and gardening when they so desire. With monthly rent that often includes housekeeping services, home maintenance, and 24/7 dining options, retirement communities answer the call. #2 – Friendship and Camaraderie. When you’re working or raising a family, connections are a natural part of your day. But establishing and maintaining friendships during requirement can be a little more challenging, especially if you aren’t interested in driving in Austin traffic. Many retirees choose to spend their years in an Austin retirement community because making friends and staying connected is nearly effortless. Having everything you need in one place can make all the difference in the world. On-site salons, dining options, and gyms mean less travel and more luxury. Perhaps even more important, free local transportation means you can get to and from appointments and local retailers without the stress of Austin traffic. With fewer responsibilities at home – like home maintenance and housekeeping – Austin senior community residents are more mobile in general. They can travel, visit friends and family, or simply enjoy adventure in their retirement without worry about home. Additionally, retirement communities promote adventure by providing free local transportation and planning frequent outings and adventures for residents. Lady Bird Lake, McKinney Falls State Park, and Mount Bonnell are well within your reach when you choose all-inclusive independent living in Austin. Expenses vary substantially at home; a high electric bill or broken washing machine can quickly derail your budget. All-inclusive retirement communities offer the convenience and luxury of senior community living at one low cost, which means you can predict what you’ll spend every single month, allowing you to spend more on the things you want to spend on and less on the things you have to spend on. #6 – Peace of Mind. 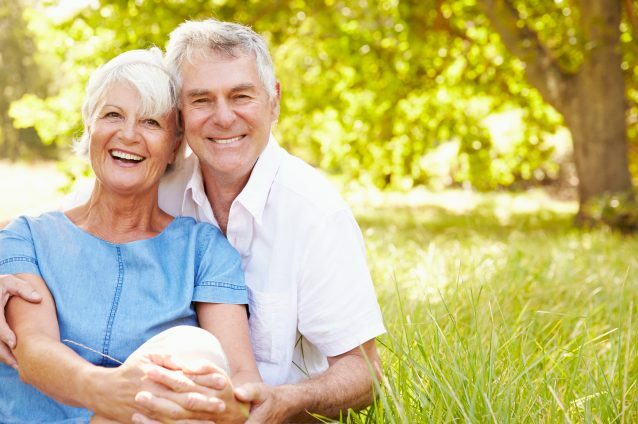 Finally, a number of retirees choose community living for security and peace of mind. Residents are safe in their own apartments due to deadbolts on every unit and staff presence 24 hours a day, 7 days a week. Response time in case of a medical emergency is substantially less than response time for those who live at home as a result of on-site staff. A quick call to our 24/7 front desk gets help directly to your apartment in just a matter of moments. One important thing to note – and a frequent concerned voiced by prospective residents – is that you can maintain your independence in a senior living community. In fact, most residents don’t need any help at all with their personal cares or activities of daily living; they simply enjoy the convenience and luxury of community living. To learn more about senior living options in Austin, schedule to visit The Clairmont today. Our staff are compassionate about luxurious retirement and eager to share the experience with you (and answer all of your pressing questions). Sample the cuisine, tour an apartment, and find out whether this option is within your budget during your on-site visit.